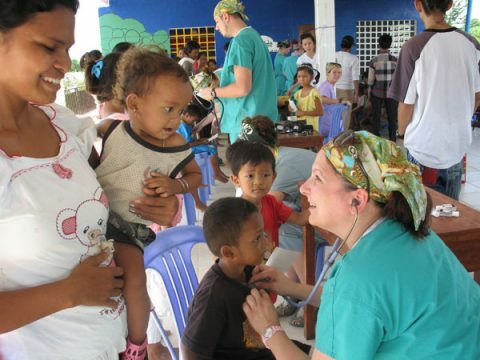 UM-Flint nursing students at health clinic in Cambodia. Maureen Tippen, a clinical assistant professor of nursing at UM-Flint, has led service learning trips to Cambodia three times within the past decade through the university. And after each trip, students submit reflections on what the trip has meant professionally and personally. A common theme threads through their responses. “It is life changing for them,” Tippen said, as students work with people in orphanages, schools, clinics, villages, and remote areas. Tippen expects a similar impact this month, as she leads a group of 10 students to Cambodia again. But this time, a physical therapy professor will also take the trip, as they develop an inter-professional course that will include both fields. 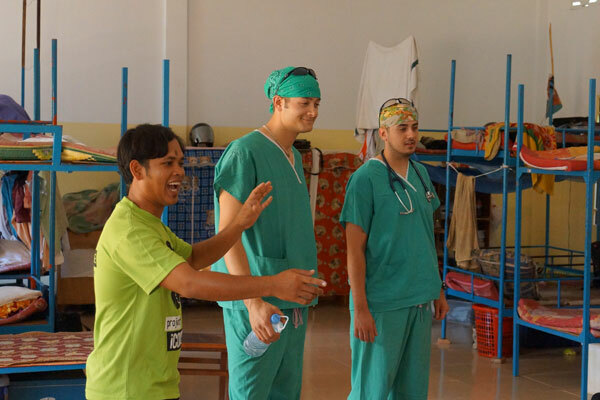 UM-Flint students at health clinic in Cambodia. 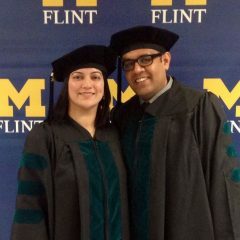 UM-Flint clinical assistant professor in physical therapy Michele Lambaria will research what is needed by local residents for treatment and care. One area of focus for physical therapists is expected to be helping amputees who have suffered from landmine injuries, which is a serious issue in Cambodia. The UM-Flint team departs for Cambodia May 22 and returns June 5. 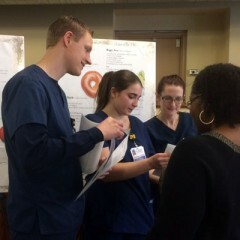 Nine nursing students and one pre-med student are going this year. “Their assessment skills are more acute because they don’t have things like machines and x-rays to work on. They have to use their stethoscopes, their eyes and ears,” Tippen said. The university partners with the Family Cornerstone Care Project, which is a non-profit government organization providing humanitarian services in Cambodia. Students will meet with faculty every day for evaluation. Bianca Zdenek took the trip six years ago as an undergraduate student. The people she and her fellow students treated left a lasting impression. Zdenek is returning this year to assist Tippen. 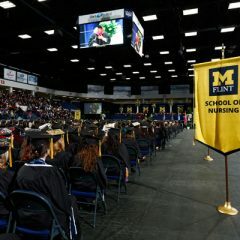 She is a pediatric nurse, and is slated to graduate from UM-Flint this July with a master’s degree as a family nurse practitioner. The UM-Flint group has been collecting donations of medical and school supplies to bring with them on the trip. Phaejare Thomas, a nursing senior, said she is ready for her first trip outside of the United States.